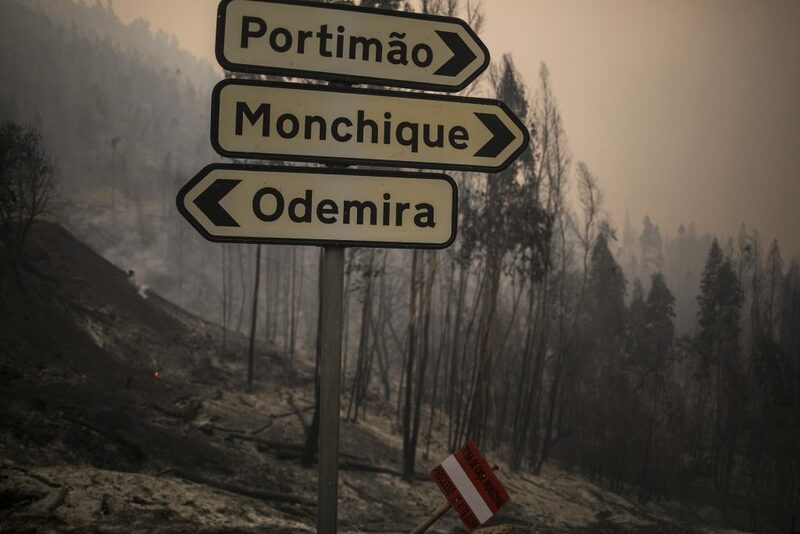 The Civil Protection Agency said 44 people required medical assistance as the blaze passed by the outskirts of Monchique, 155 miles south of Lisbon, in the dark. A 72-year-old woman was seriously hurt. Authorities said that more than 1,100 firefighters with 327 vehicles and eight aircraft were battling the blaze that erupted amid a heat wave caused by a mass of hot air from North Africa.